* Sigh…Women’s Fiction again…Why? Why write off a potential clutch of readers? Men write romance, men read romance so this genre is sadly outdated. I didn’t like Vanity Fair, and though I loved Poldark this isn’t in any way similar to those novels, except in the setting being Cornwall and past times. Another historical that proved for me to be well written but not exciting. Its an easy read, a perfect book to relax with but not one to set the heart pounding, make emotions come alive. 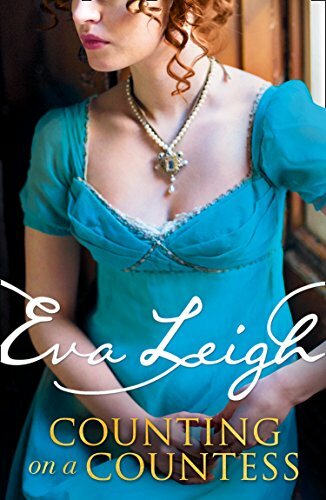 I liked both characters to begin with, and love that Regency way of talking round issues, of pandering to society while working towards one’s own ends. Its a clever trick, a dance that’s hard to perfect and I love the way characters know what they want but have to use polite dissembling to achieve it. Here its Kit that needs a wife to secure his fortune and Tamsyn that needs a wealthy husband. Both have ambitions that need money, and a very short span of time in which to obtain it. I loved the spark that ran between them, sexual tension, subtle wit and a sharp intelligence in both made them perfect for each other. Both though are holding a big secret, Kit wants the money for the dream that held him together in the depths of war, Tamsyn wants to buy her childhood home and the smuggling coves so essential for sustaining the villagers in these lean times. It plays out well, gradually unfolding the plots each have to gain what they want. They marry, and then Kit receives a massive shock, control of the money is solely with Tamsyn, he has to ask her for everything, the promises he made about setting her up with an allowance, etc all fall flat. Tables are turned and its Tamsyn who has the deciding hand. Of course letting him have the money for his dream means letting go of hers, and can she do that with the village depending on her? That’s where it fell back for me, she didn’t discuss anything, didn’t try to meet Kit halfway, just made her mind up and went ahead. I found that really unlike the character I thought she was, and to be honest, morally unfair too. It was Kit’s inheritance, but she’s happy to take charge of it and make all the decisions. Emasculating for any man, especially in that era. There’s also the fact that she knows how he feels about the Law, and yet she’s made him an unwitting accomplice, without ever trying to work things out another way. I’m not saying his ideas where necessarily right, but what she did felt so very wrong. I really didn’t like the way she just dashed his dreams, no discussion, no explanations just waded ahead with her own plans. Then when it all comes to a head, well, that old 10cc seventies song springs to mind “The things we do for love…” I did find Kits about turn on what he had long believed a little hard to take, heat of the moment yes, but I thought there’d be some hard words in private, but he appears to have abandoned all his principles and it made me think less of him. Still, its a romance, we can’t have an unhappy couple, and clever Kit finds a way to make both of them achieve what they want. Stars: Three, a solidly written story, but at times I disliked Tamsyn intensely, and I felt Kit was way to quick to abandon all his long held beliefs.